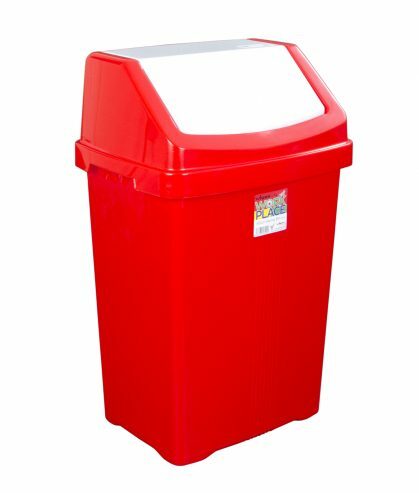 Large 50 litre capacity bin with swing style lid. Made from lightweight, yet durable and easy to clean plastic. Ideal if you require colour coded bins in your business, school or office.